The m-Billionth Award South Asia 2010 was the first of its kind in the region recognizing and felicitating mobile innovations, applications and content services delivery. 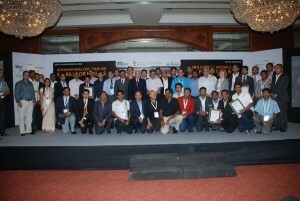 It was arranged to honour excellence in mobile communications across South Asia spread over 10 core categories. 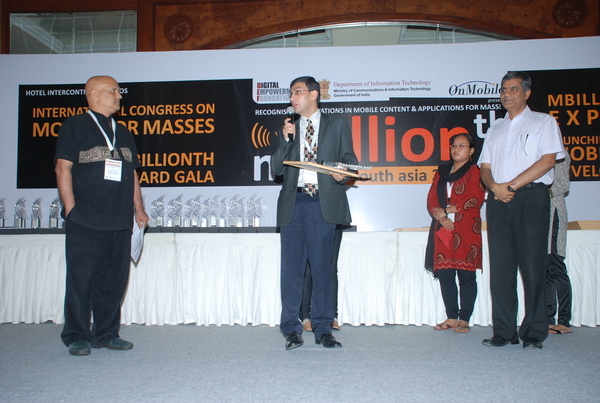 The m-Billionth Award is designed as an annual South Asia’s leading mobile content’s award platform towards larger regional Mobile Congress in media and policy advocacy. The platform was created with the help of DIT and Digital Empowerment Foundation who have come together to create a regional platform and had support of partners like mint newspaper, VAS companies like IMImobile, OnMobile, One97 and the umbrella organization such as IAMAI (Internet & Mobile Association of India). Pakistan Software House Association (P@SHA) was the Country Partner, Bytesforall , the Strategic Partner and CIO Pakistan, the Media Partner from our side. The response to the mBillionth Award nomination process was phenomenal: more than 250 entries were received and after screening 165 nominations were successfully accepted: India – 121, Sri Lanka – 28, Bangladesh – 07, Pakistan – 05, Nepal – 03, and Maldives – 1. The 14 member Jury came up with 24 winners & 12 special mentions from 5 South Asian Countries. 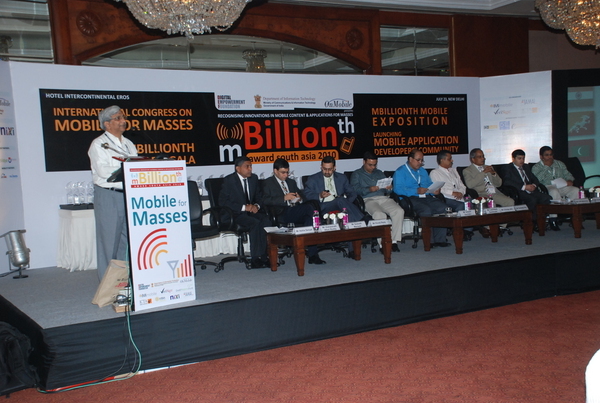 There was an impressive line-up of eminent dignitaries, best practitioners, innovators and policy makers for various plenary sessions scheduled at the full day mBillionth Congress, Exposition and Award Gala held at Hotel InterContinental Eros in New Delhi yesterday to promote cross-border exchange of ideas, policy strengths and mobile advocacy. EntrepreneursPK Team is extremely delighted to inform you that though there were only 5 nominations from Pakistan amongst 250 total entries, yet we won 2 awards at the mBillionth Awards 2010. The Citizen Journalism Startup, SeenReport won in the m-News & Journalism category whereas Jaroka Tele-Healthcare won in the m-Health category. We take this opportunity to congratulate SeenReport and Jaroka Teams, and are hopeful that next year we would have many more winners to make us proud. Also our gratitude goes to the Digital Empowerment Foundation for taking the lead in creating this recognition and networking platform for mobile content developers. The list of winners of mBillionth Awards 2010 is as follows. Plus, Jehan Ara and Rabia Garib are ideal social networkers in sharing Internet opportunities and collaborating with me and others in general online. You know, I remember when we applied for the World Communications Awards by Total Telecom in 2006, they started a new category “Changemakers” that year, and placed DIDX in the final shortlist on it. We didn’t win, but it felt good to be the reason they created a new category.